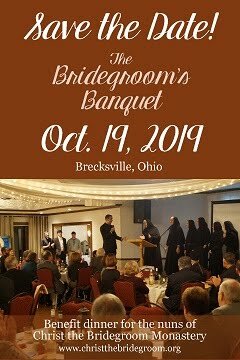 Christ The Bridegroom: Overflowing with gratitude! 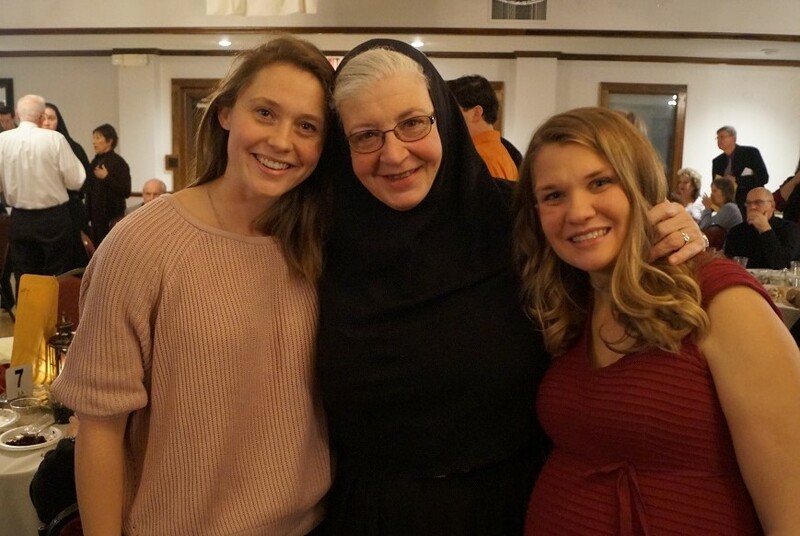 We are overwhelmed by the outpouring of support for our monastery! At our Bridegroom’s Banquet this past Saturday, and through donations sent in ahead of time, $87,486 was donated or pledged and will be matched by a generous donor! 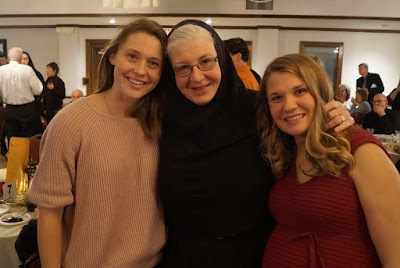 These funds will go towards the general operation and maintenance of the monastery for our daily life of prayer and hospitality, and also towards the renovations and repair of our chapel (we will share more about this project soon). At the event, held at St. Joseph Byzantine Catholic Church in Brecksville, Ohio, our guests joined us for Vespers (evening prayer) in the church, at which Bishop Milan presided, and then we enjoyed dinner in the hall. After dinner, our MC—Fr. Eric Garris—introduced the video we produced for the event, called “Christ our Bridegroom.” In the video, we explained why our monastery is named "Christ the Bridegroom," how we model this relationship for the Church and the world and how we have been a model of this relationship for different vocations in the Church. Fr. 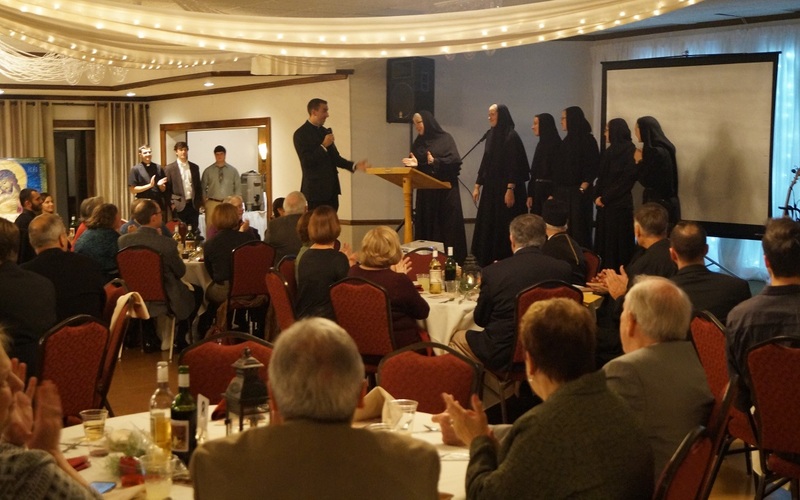 Eric then shared how his relationship with the nuns of our monastery has enriched and supported his priesthood. He then shared the slideshow we compiled, which included some “before and after” photos from our poustinia renovations, as well as photos of the problem situations in our chapel and its basement, siding and roof, which need repaired. Our guests then generously made donations and pledges. 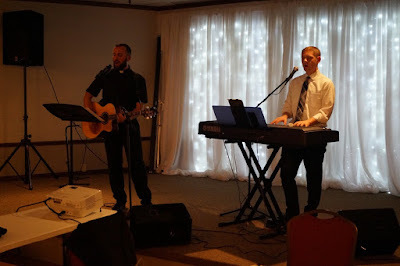 While the donations were being counted, two seminarians from the Diocese of Cleveland, Deacon David Stavarz and Joe Menkhaus, played some music while we all continued to enjoy each other’s company. Mother then opened the envelope containing the total donation/pledge amount and shared the good news! 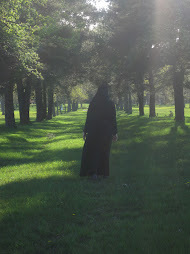 We are so grateful for the sacrifices that were made and joined to our monastic sacrifice. May we all continue to offer a “sacrifice of praise” to God together! Enjoy more photos from the event here. Wonderful! Thanks be to God for such generous donors! 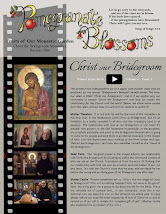 Enjoy our video: "Christ our Bridegroom"
Giving Tuesday: Your donation can be matched! 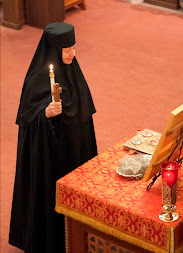 Sister Iliana's Life Profession, Dec. 8!